We are proud to announce that the Laser and Vein Center has acquired the Cynosure PrecisionTx and SmartLipo Triplex which now allows us to complete our body sculpting ability by adding LazerLift to our menu of services. By reviewing the information and videos, you will see how you can look as young as you feel with a minimally invasive procedure that takes about an hour and is done in our office. 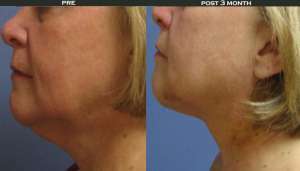 Read more about LazerLift or Call today for your no obligation complimentary cosmetic consultation! Looking for the best cosmetic and body sculpting center near you? At Laser & Vein Center of North Jersey located in Florham Park NJ, Dr. Philip Seaver one of the top body sculpting doctors in the region, provides expert cosmetic procedure services to patients from Madison, Livingston, Chatham, Short Hills, Summit, Millburn and other surrounding towns in Northern New Jersey, as well as NYC. Our doctors focus on each client’s unique concerns and needs, providing personalized care with state-of-the-art technology for optimal health, aesthetics, and patient satisfaction. To receive more information or schedule a consultation, call today 973-408-8346 to speak with our friendly staff.